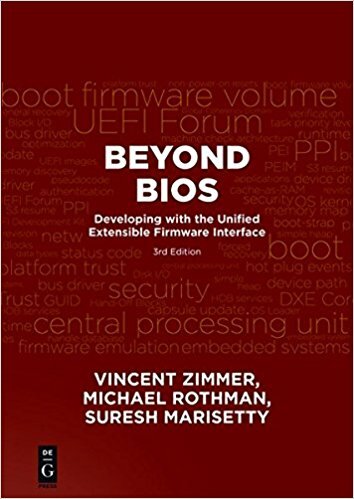 My co-author and partner in various things UEFI, Vincent Zimmer, has penned some wise words about how firmware bugs are perceived on his blog (here). He quotes the first chapter of Embedded Firmware Solutions wherein an anonymous manager states, "If you can fix a hardware bug in firmware, it’s not a bug but a documentation issue." What Vincent said about hardware used to be the same for operating systems. That is, it was often hard to (a) convince an OS company that they had a bug, (b) get them to fix that bug and (c) get that fix out to customers. But now, Patch Tuesday is a weekly event, monitored by websites everywhere. The OS images used by OEMs can have hot-fixes applied. So, now the situation is fixed. Hardware is the hardest to fix, followed by firmware, followed by the OS, followed by applications. 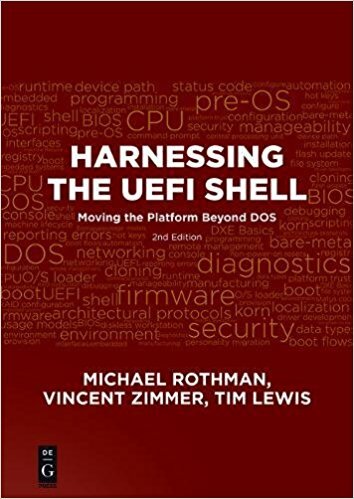 That is why firmware update has been a major focus of the recent UEFI specification updates, standardizing how 3rd party components can produce and process updates (c.f. capsules and the Firmware Management protocol, ESRT). These updates are not only for the system firmware's flash device, but also for the embedded flash on smaller chips, as well as attached USB and PCI devices. Security concerns, in particular, are driving the need for reliable and timely updates of all of these. The next frontier is delivery of these firmware updates via the OS. While there has been some progress here by the OS vendors (Redhat, Microsoft, Canonical, see older summary here), there seems to be reluctance on the part of some OEMs. Part of this is that some of their unique value(if you can call the little tray icon apps "value") is getting sucked into the OS. Part of this is relying on the process by a 3rd party (or more than one 3rd parties) to deliver updates. Part of this is: older, out of production platforms aren't interesting any more. But highly publicized hacks and bugs are putting pressure on the industry to solve the distribution problem. Whatever the case, platform stability rests solidly on firmware stability because of its unique capabilities to fix or mitigate hardware and OS issues, as testified to by Marvel's Agents of SHIELD.